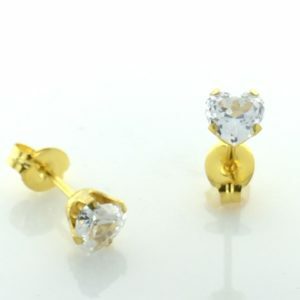 For the top earrings for sensitive ears in birthstones, take a look at these Studex Gold Plated 5MM December Blue Zircon Earrings (Sensitive). This is the “Fashion” style and is not “for piercing”. These earrings have a blunt, notched post for comfortable wear all day long. The base metal is stainless steel for your hypoallergenic protection against irritation. Since 1976, Studex has been an industry leader in manufacturing allergy-free fashion earrings. They have uncompromising commitment to quality. They exceed US FDA regulations and EC standards. They strive to provide customers with the highest quality products, and they are now at your fingertips with Sensitively Yours.